So, true story here. Me and some of my staff attended a half day symposium on ‘the state of cannabis and banking’ in Colorado. The audience was composed of mostly bankers. This was a while back, but a story that deserves repeating. After hearing presentations to include emphasis on people jumping from windows, increasing crime, lack of law enforcement to compensate for legalization and, oh benefit to law enforcement, the federal reports being filed by financial institutions and helping law enforcement track money all over the country….it was time for Q & A! Only one or two financial institutions in that room were actually banking the industry at that time. Since there seemed to be an underlying theme on this panel to scare the audience away from banking the industry, I felt the need to ask a few clarifying questions. For the most part, my questions were met with ‘Oh, we know who you are and what you do’. I was not ashamed of banking the industry (that train had left the station! ), but learned early on that staying at the office and keeping my head down was less confrontational as well as the path of least resistance. I had enough resistance to worry about. Why invite more? My final question to one of the agents was ‘is the money better banked or unbanked’? Isn’t that what it boils down to in the end? Does society benefit with cannabis money being transparent and accounted for in the financial system more than if the money is being stored in neighborhoods, trunks of cars, backpacks and the businesses next door? Well, that was a question to ponder and ponder he did…. SAFETY FIRST: The issue here is simply running into the unbanked industry participants anywhere, anytime with tens of thousands of dollars in cash. This doesn’t just pass through the community once, but rather circulates many times before it ends up in a bank account. Anywhere there are monetary instruments that can be exchanged for cash is where you should be aware of potential danger…. Like maybe the grocery store in which you and your family members shop. Even worse are the hundreds of employees receiving their paycheck in cash from unbanked cannabis businesses. NOT Banking the industry places many people in harm’s way, NOT just the businesses. They’re not in my neighborhood so I hear from many…. Well, I reply, Yeah, that’s why I move those in my neighborhood to the top of the on-boarding list! Let’s really consider this for a minute…. Where better than an upscale, gated and secure neighborhood to store cash they cannot get into the bank. Ignorance is not bliss. It’s unsafe. 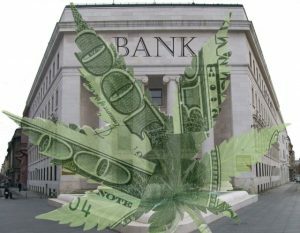 RELEVANCY: If 60% or more of our community voted to legalize marijuana, are we, the community bankers and credit unions responsible to morally control that decision or serve the community we tout to support? I get the dichotomy between state and federal government, but you have to wonder if the federal agencies and law enforcement agree that the money is better banked than unbanked? I don’t have to ask this question, after 4 years, I know the answer to this, but that’s another story, another week. FINANCIAL INSTITUTION STABILITY: Bank Secrecy was designed to protect the American financial system but cannot be useful to this mission if the money is not banked, validated and tracked. The first cannabis group with whom I spoke asked me…. ‘why do we have to do our deposits in $9,000 increments?’ I said ‘WHAT?!?!?!?! Why would you ask me that question? Afterall, it’s called Bank Secrecy Act for a reason, isn’t it? Obviously, I was shocked! He proceeds to tell me that the banker at his bank told him that if he wanted to stay under the radar and keep his account open, this is what he had to do……WOW, now, the very industry trying to legitimize itself, was being taught by professional bankers to operate in illegal territory and avoid federal monitoring by learning Bank Secrecy and FinCEN requirements and maneuvering carefully around the regulations to obtain banking. Hard to blame them if we taught them the ropes, isn’t it? I hung my head at that moment and said to self….You are one of those bankers if you do nothing to fix the problem. So, I did. I weighed out good vs. bad here and determined that everyone would benefit if we banked the industry. I wasn’t wrong, nor my board and team for agreeing… at least not yet! YEP, the money is better banked than unbanked!